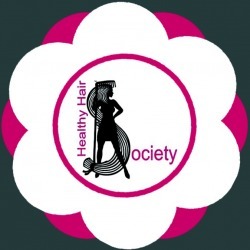 We exist to provide a platform to discuss healthy hair solutions. We are Coordinators of Special Events and Hair Shows throughout the United States. We recognize hair care professionals who promote healthy hair care through our Healthy Hair Showcases. Our team consists of a group of Individuals and hair care professionals who have joined together to offer real life solutions on promoting healthy hair and lifestyle from the inside and out. While there are many great company's that promote healthy hair with great products, many are not fully utilizing all the tools available for hair growth and that includes nutritional supplements along with a healthy diet. We provide information and resources that will help people to feel good, look good and get great results. We offer memberships to industry manufacturers, providers, stylist and barbers who want to wear our seal of approval on their business label. When consumers see our seal on your product or business, they feel confident that you practice healthy hair principles and subscribe to our principles of high quality and excellence. We hope you will join us in our quest of promoting healthy hair and healthy bodies from the inside and out.